When Theresa May announced a snap general election in April 2017 with a view to strengthening her hand in Parliament, few predicted that she would lose her gamble in what was to be one of the most surprising and fascinating elections in recent history. 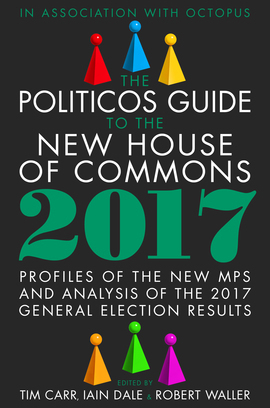 In the wake of this earthquake election, The Politicos Guide to the New House of Commons 2017 presents an essential and all-inclusive document for academics, journalists, students and political enthusiasts alike. It provides, amongst much else, biographies of the class of 2017, demographic analyses, expert commentary exploring topics such as the historic result in Scotland and the changing role of the media, and a breakdown of how this election has turned conventional political wisdom on its head. From the robotic campaigning of Theresa May and the dramatic spread of Corbynmania, to the total collapse of UKIP and the rise of the Scottish Tories, this wide-ranging and accessible book investigates all the angles of the 2017 general election, and is a must-read for anyone eager to familiarise themselves with the new faces of government and understand the results through astute and detailed analysis. • Expert commentary from political journalists and pollsters, exploring various aspects of the election, such as the role of the media and the possible ways in which the new parliament will shape the future of Britain and redefine its relationship with Europe.